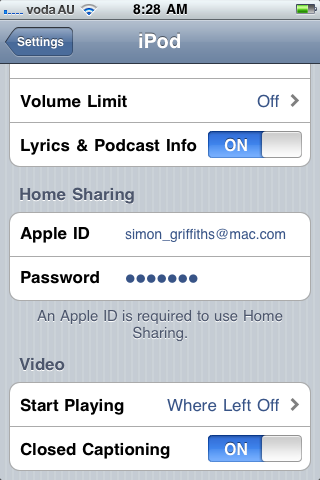 I have just updated my iPhone to iOS4.3 and was excited to try out Home Sharing, but it wasn’t as straightforward as I thought it might be. 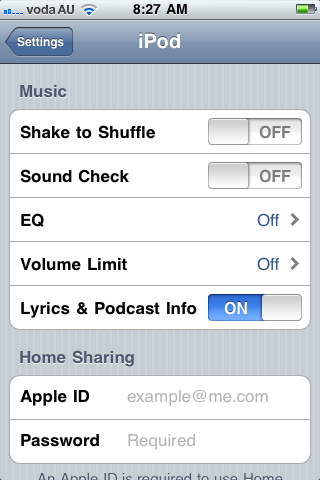 I had thought that you would send it from iTunes on your computer as you do with other types of sharing, but this is slightly different and has to be enabled on the phone. 1. 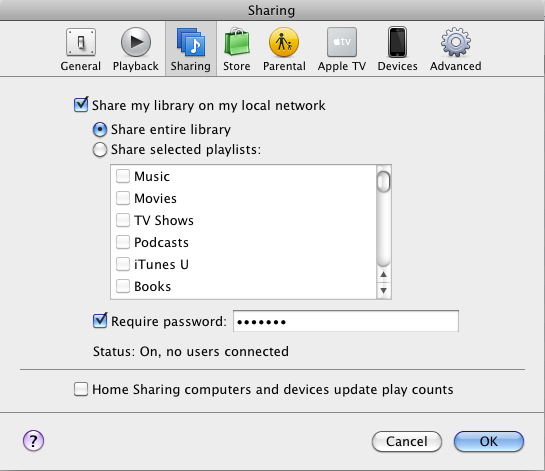 Go into iTunes on your computer, to the preferences dialogue box, then to sharing. 2. Enable sharing as per the image below. 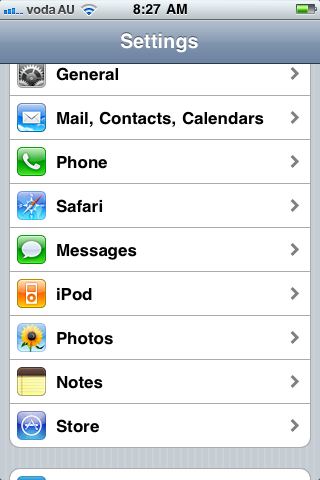 Personally I like to add a password, and this is maybe what made setup on the iPhone more difficult. The procedure will be a bit different for iPods but if iPads are anything to go by, videos appear in a shared tab in the Videos application and in the iPod application you touch the Library in the top left of the screen, which then allows you to pick your iPad or a shared library. 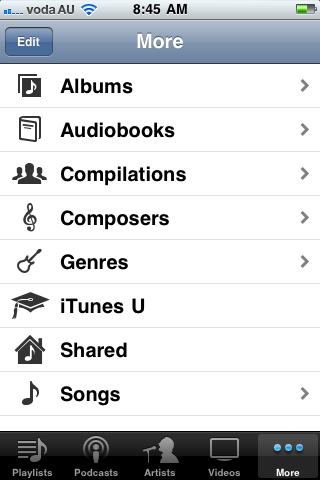 So far I’ve found that streaming audio works great. Video seems to cache for a while before it starts playing, but also looks good. It looks like it will then be possible to stream to your TV with the appropriate cables although I haven’t tested that yet. 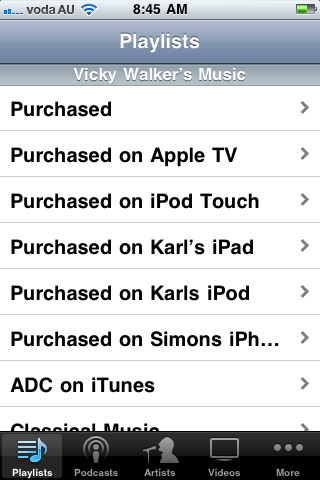 If it works it will effectively allow you to use your iPhone/iPod/iPad as an AppleTV!